Click either the logo or the highlighted text to be taken to the respective website. 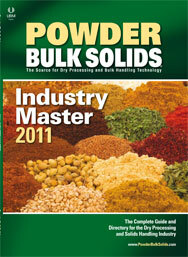 Powder Bulk Solids - The source for dry processing and bulk handling technology. ARBO Engineering - For more than 30 years ARBO has been serving the manufacturing industry and supplying high quality volumetric and gravimetric feed systems. Custom Equipment Design manufactures a full line of semi-bulk packaging equipment. IEDCO- Customized to your specific needs, providing solutions for handling and processing powders, granules, tablets and other materials moving from Point A to Point B.
Readco is a World Class leader of Continuous Mixing and Powder Blending Technology for over 75 years. Zeppelin designs and supplies high quality plants for storing, conveying, dosing, weighing, cleaning and blending of bulk solids on a global basis. Engineering and manufacturing of tailor-made turn-key systems, silos and components to meet the specific requirements. WindowsWiz Computer Services - Designs and maintains websites, including this one. Many of the documents on our site are in Adobe Acrobat format. If you don't already have the latest version of Adobe Acrobat, click on the "Get Adobe Reader" button above to download it free. Click here to see our interview at the 2008 PTX Show. Copyright 2006-2018 SetPoint Solutions, Inc. All rights reserved.